One of the subplots Supergirl has gotten some flak for this season is its decision to essentially replay the “Kara’s unrequited love for Jimmy” storyline from last year with Kara and Mon-El. It’s been a slow burn of a storyline and Melissa Benoist & Chris Wood have great chemistry but it’s drawn some criticism for being a rehash. And that’s warranted but it’s been intriguing to watch mostly because the affection has been one-sided on Mon-El’s part. The last episode, “We Can Be Heroes,” ended with Mon-El finally confessing his feelings to her and Kara being understandably confused. That’s where “The Martian Chronicles”–written by Gabriel Llanas & Anna Musky-Goldwyn and directed by David McWhirter–picks up, with her confronting Mon-El in the alien bar (which still doesn’t have a name, oddly) and awkwardly stammering that she wouldn’t date “someone like him.” Understandably, this pisses Mon-El off. 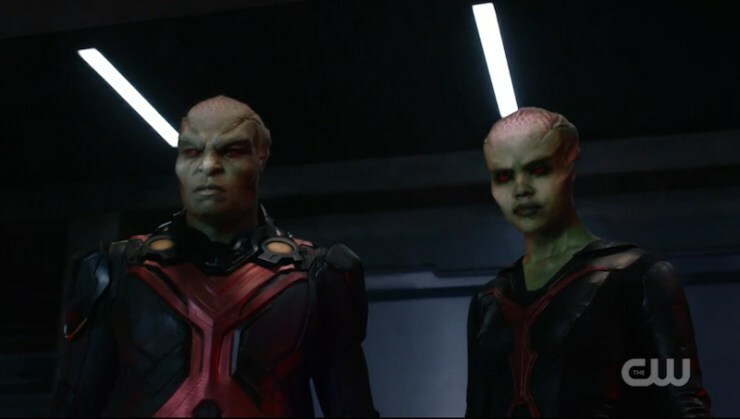 Meanwhile, J’onn is busy shadowing M’Gann to protect her from the oncoming White Martians which pisses her off pretty bad because in her view, it’s her fight. Naturally, the next scene sees them briefly menanced by a White Martian show up in disguise at the bar…who turns out to be M’Gann’s ex-arranged-husband, Armek (Terrell Tifford) who explains that she’s being taken back to Mars forcibly to face trial. 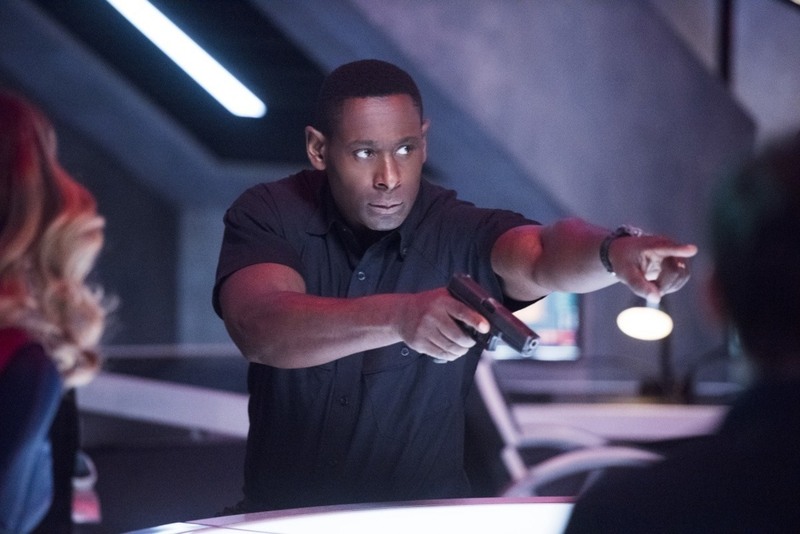 J’onn eventually convinces M’Gann to accept protection from the DEO and brings her there while Kara is also there, with Alex having just popped in before the concert to apologize to her. All seems normal until M’Gann walks in…even though she’s already standing next to J’onn. The White Martian in disguise turns out all the lights and escapes, causing J’onn to put the DEO on lockdown and trap everybody in with the bad guy for both a The Thing homage and a bottle episode. 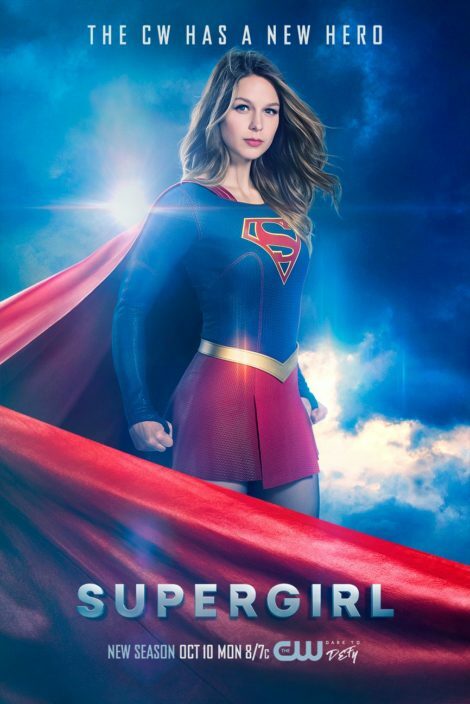 Those are both fine conceits in and of themselves but Supergirl ultimately doesn’t make them a great blend although there’s plenty of solid moments. The conceit of a shapeshifter as the villain means some of our regulars get quippy, show-offy turns to be evil, which Jeremy Jordan clearly relishes. The various fight scenes are all pretty fun, even if most of them being set in the dark makes for intentionally onfuscating fights to disguise the poor CGI of the Martians. There’s some solid character stuff here too, especially with Kara, M’Gann and J’onn all coping with unexpected reminders of their own abandonment issues, but the ending is really rushed and is, honestly, pretty dang annoying. And, honestly, as far as Thing homages go, The X-Files pulled it off a lot more successfully with “Ice” way back in the day. Still, it’s a reasonably entertaining episode with some truly fun and exciting moments. Just not enough.